Ash is a tree native of the UK and will grow in most soil types, although it prefers low land chalk or limestone. Ash prefers damp conditions and needs lots of light. Although ash seeds freely it is very popular with sheep and rabbits which can restrict regeneration. The seeds can often be deeply dormant and may take 2 - 3 years to sprout after sowing, but initial growth can be rapid, as much as 50 - 100cm in the first year. 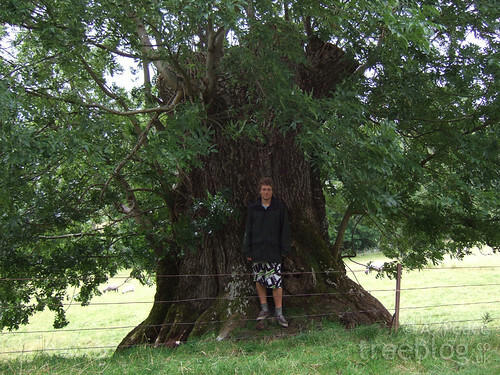 This rapid growth can continue until the tree is 40 years old. The tree begins to bear good seed crops at about 25 - 30 years old, with maximum seed production at 40 - 60 years. It is best to collect seeds in August and plant them when green. Ash was often used as a standard tree in hazel coppice, in Southern and midland England, and coppices well itself. 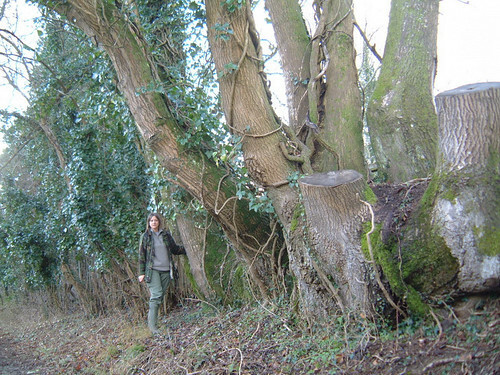 Ash coppice is often worked on a rotation of 25 - 35 years. The regrowth emerges from pre- existing dormant buds under the bark. Ash may grow as much as 1.5 - 2.5 m in its' first year after being cut, and even more in the second year - before it slows down. Julian Evans points out that if an ash tree is felled in late winter or early spring the stump will stay dormant all through that year and only sprout coppice the following year. It will appear dead, but it isn't! Photo by Jane Adams of a overstood ash stool on a boundary. Ash is excellent for a great many coppice and woodland products. See the 'products' section of this website to read more. which you might find useful. I am planting a 15 acre ash coppice this winter and we will plant 5000 per hectare which would be 1m apart at 2m spacing. I assume from the comment that cutting in mid- to late winter may cause the shoots to lie dormant for a year that the best time to cut is early winter. Does this increase the risk of frost damage? I am in Perthshire and we can get some pretty hard winters. 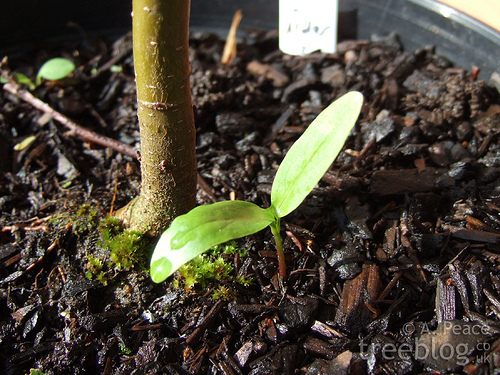 I have discovered that an Ash tree has started to grow in my small garden, I haven't planted it and it is growing very close to my boundary fence. As its a tree I don't want to get rid of it but I don't know what to do. Can I stop it from growing too big? And if so how? So please can anyone advise WHEN is the best time to cut? In the Romano-British research that I am undertaking there is a great deal of backtracking on pseudo-Latin recorded names to find their original Celtic meanings. The original Celtic names often seem to throw up references to Ash Trees why would the natives have attached so much meaming into such places names giving the ash tree prominence in the title?